Thinking about selling your home? Getting your home ready before putting it on the market is critical for a successful sale. And knowing how to do it right can mean the difference between getting the best price possible or leaving money on the table, between selling your home quickly or letting it languish on the market for months. This first step of eight tactics is crucial when preparing a house for a successful sale. These four home seller tips will guide you through the process. 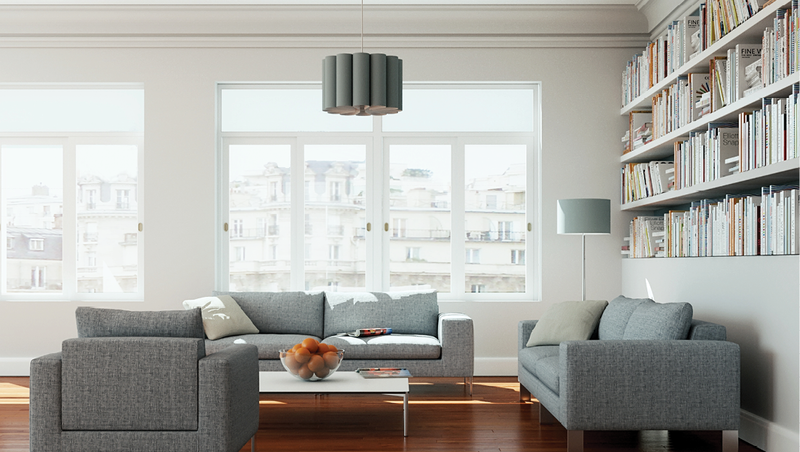 Buyers love space, and the best way to make your home look as spacious as possible is to remove excess possessions. The excess should be anything you don’t absolutely need to function on a day-to-day basis while your home is on the market — perhaps half or more of your belongings, unless you’re already a minimalist. In addition to making your home more pleasing to potential buyers, decluttering will leave you with fewer objects to move and possibly some extra cash, should you have anything to sell. Donate, recycle, or toss anything that’s not worth your trouble to sell. Then put what’s left — the stuff you want to keep but can do without for a while — in a portable storage unit. It can be stored off site and then easily moved to your new home without unpacking and repacking the contents like you’d have to do with a traditional storage unit. Decluttering also means you will have less packing to do after your home sells and it will be easier to do the other tasks required to get your home in top condition. As part of the decluttering process, you should also depersonalize your home. Put away family photos, pet photos, kids’ artwork, and anything else that might make it hard for potential buyers to envision the home as theirs. Unless you’re selling your home as a fixer-upper (and you’re okay with discounting the price), you need to repair anything that needs fixing. A turnkey home will command the highest price and will give you the fewest headaches after the buyer’s home inspection (in fact, you might want to do a seller’s home inspection first). Enlist your real estate agent or someone who can see your home with a neutral eye, like a friend who only visits occasionally, to help you walk through and around your home and identify every item that’s not in top condition. Does your roof have missing shingles? Are the gutters rusting? Is the siding damaged? Is the mailbox unstable? Also look for leaky faucets, loose doorknobs, squeaky hinges, and cracks or stains on walls and ceilings. You’ll then need to fix all these problems so your home will seem immaculately cared for when buyers visit. If cash is an issue and your home needs an expensive repair like a new roof, consider offering the buyer a credit at closing so they can do the work soon but you can pay for it with your sale proceeds. No one wants to live on your dirty, worn-out carpet, so have it replaced or deep cleaned. Upgrade cheap, dated laminate flooring and linoleum with superior modern products such as wood-look vinyl planks or durable modern driftwood laminate. Get the windows professionally cleaned so they sparkle and let in maximum sunlight. Wash or vacuum your window coverings to get rid of dust. Get out your vacuum attachments to clean all those corners you normally can’t reach. The soap scum in the shower and the ring around the tub have to go. So do the scuff marks on the baseboards and the grease and food splatters around the kitchen. Deodorizing your home is an important part of cleaning. You don’t want visitors to smell the diaper pail, the litter box, the trash can, or last night’s dinner. Besides taking out the trash, try letting in fresh air, lighting scented candles, setting up reed diffusers, spraying fabric freshener, changing the linens, and baking cookies. Once you’re done, get someone who doesn’t live with you to give you an honest assessment of your home’s odor so buyers won’t be turned off by any lingering smells. Don’t forget to clean the garbage disposal and the microwave. If you can afford professional home staging, great! It will save you time and help you create a vibe that you probably couldn’t achieve on your own. Home stagers know not only what looks good from a design standpoint but what helps a home sell for top dollar. If professional staging isn’t in your budget or you don’t want to bother with it, take these steps on your own. Organize the inside of your closet, pantry, and cabinets. Buyers will look inside them to see how much storage space your home has. Keeping these areas no more than half full and dedicating specific spaces to specific items — one shelf for canned goods, one for baking supplies, one for spices — will help buyers envision the more serene life they’ll have once they move into your clean, perfectly repaired, fresh-smelling, tidy home. Paint walls, ceilings, and trim as needed. If you have non-neutral or outdated paint colors, wallpaper, stains, cracks, or peeling paint, it’s time for a fresh coat or two. If it suits your local market, consider using some of 2018’s hottest paint colors. Otherwise, keep it neutral. Your home’s exterior might need a fresh paint job, too, or at least a good power washing. Speaking of the outside of your home, landscaping has a big impact on curb appeal and on buyers’ first impressions. Get rid of overgrowth, dead plants, and any plants or trees that are harming the home, like trees with damaging roots too close to the foundation or that night-blooming jasmine that smells so lovely but whose vines have taken over the side of your house. Plant colorful shrubs, succulents, or flowers, especially near the front door; use pots if you don’t have beds. Don’t forget the welcome mat, front door hardware, walkway lighting and new house numbers. If you complete these steps to get your home market ready, you’ll be under contract before you know it. For help listing your home, pricing your home and getting it ready to sell, contact me.